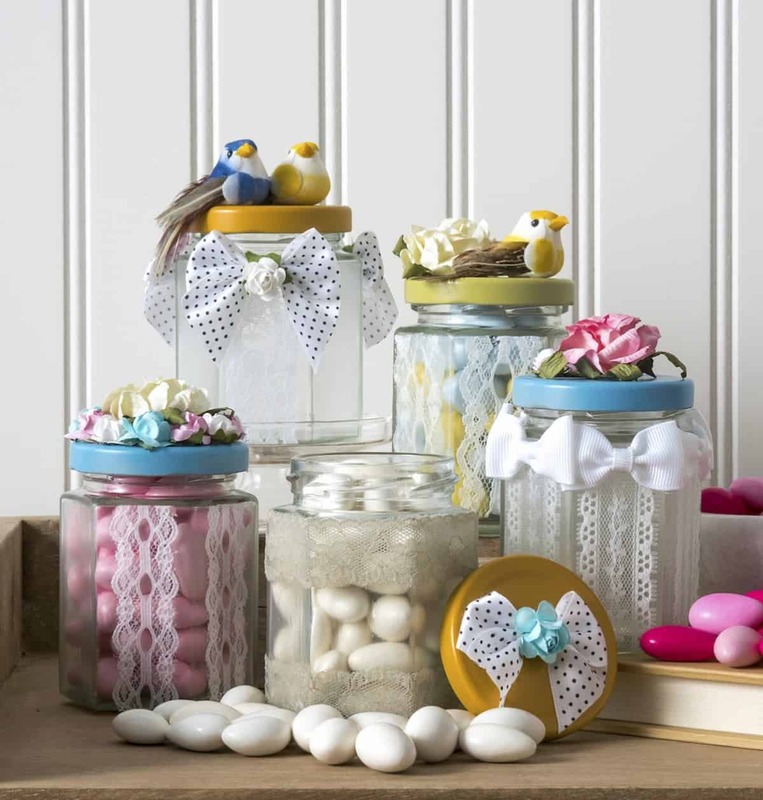 Make DIY lace mason jars in less than an hour! 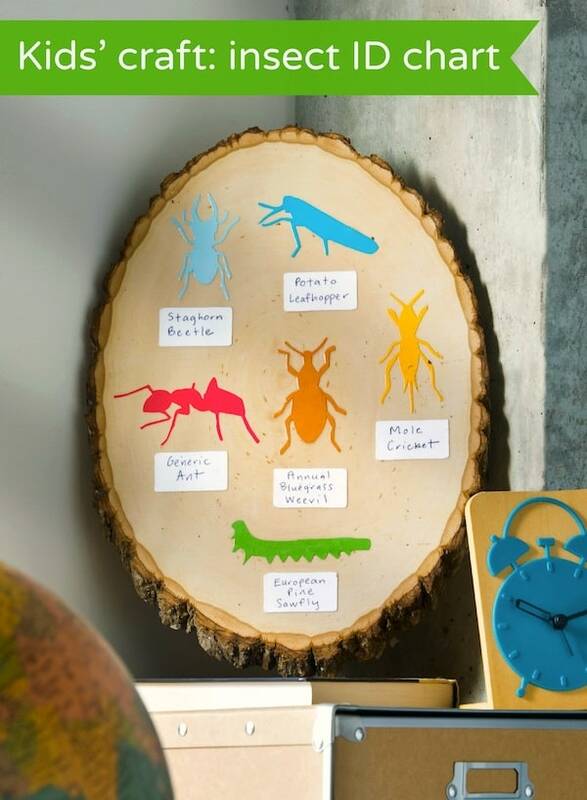 This project is perfect for fall decorating and goes with a variety of themes. Skills Required: Intermediate Beginner. You'll need to be able to spray paint or paint glass without runs. This typically requires a little bit of prior crafting experience. It's still a relatively easy project even with the painting. 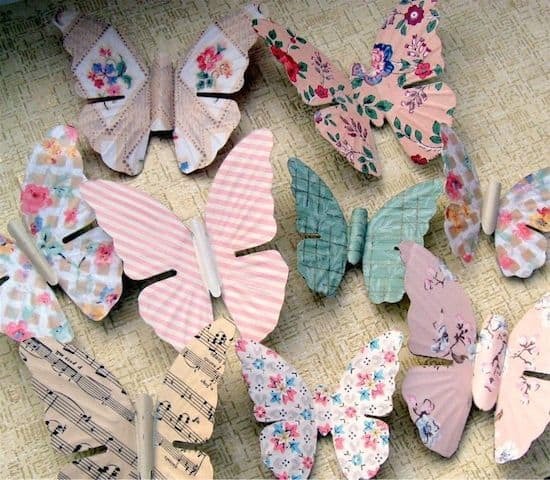 Hello Mod Podge Rocks readers! Justine from Sew Country Chick here again with a quick and fun way to spruce up some old mason jars for fall. My husband has always been sort of funny about saving our glass jars. With the mason jar craze happening, it certainly is handy having my husband's hoard collection hanging around to experiment with. Because you just never know when you might need an empty jar! These lace mason jars are perfect for fall decorating, and would also be fun for an elegant vintage addition to your Halloween decor. They also took less than an hour to make. The longest part of the project involved letting the spray paint dry. Which takes forever when you are staring at it, don't you think? 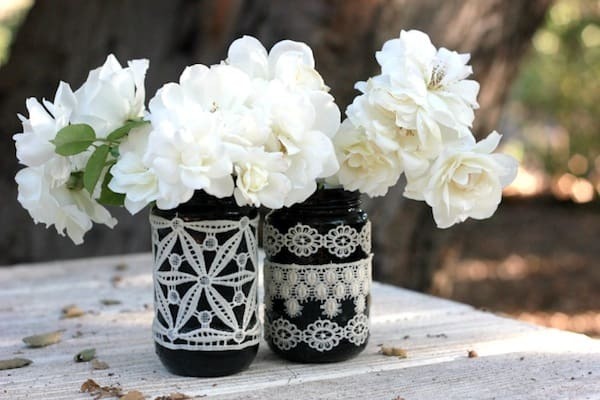 Before we get into the lace mason jars, I wanted to give you a few tips based on questions I've gotten about this craft. 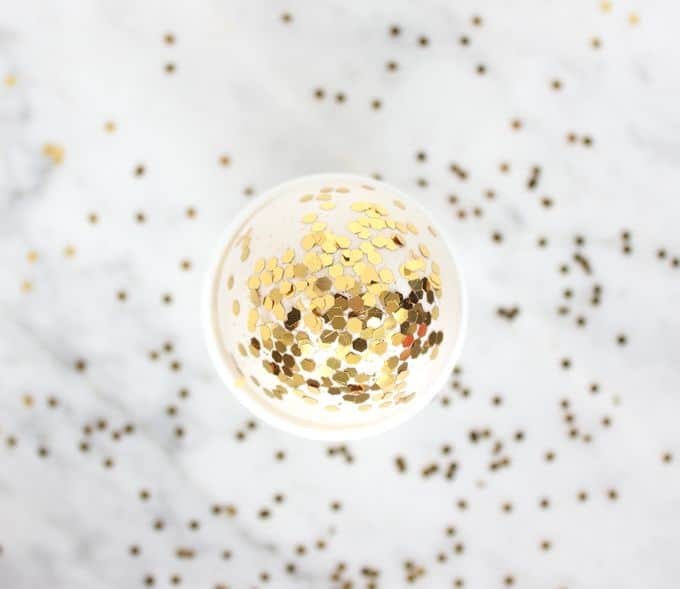 These are some common topics that readers are wondering about, so hopefully these help you as you decorate your mason jars. The first thing you need to do is make sure all of the adhesive labels are removed from your jars – you'll do that with a sticker remover. Click here to get our article with all-natural ways to remove the adhesive. After the adhesive is removed, make sure the jar is clean and dry. You can wash away fingerprints and other oils with a mild soap and warm water. Some people use rubbing alcohol and cotton balls as well. 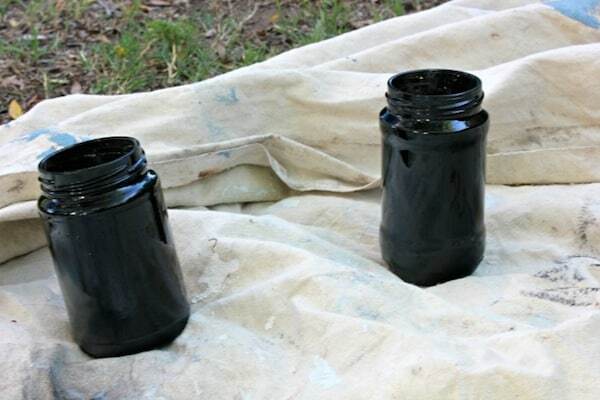 In this project I used spray paint, but you can also use acrylic paint to coat your jars. Spray paint will be more expensive than a bottle of acrylic paint. If you choose acrylic paint, make sure to get the multisurface, enamel, or something that is rated for glass. So which one would I use – spray paint or acrylic paint? Well, personally I'm going to use acrylic paint if I'm painting the insides of jars. Painting the insides of the jars is fine if you're going to use faux florals for decor, because you won't put any water in the jar. Not only that, but I think painting behind glass looks much nicer. It's harder to see imperfections and gives the paint a nice glassy sheen on top. Having said this . 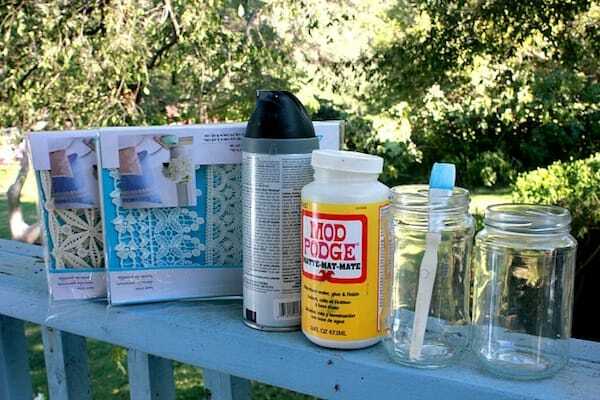 . . if I want to put water in my mason jars, I'll be spray painting the outsides. It's just quicker, and I'm lazy. Using acrylic paint is more time consuming, and only worth it if I'm painting the inside of a jar. Plus let's be honest, it's hard to spray paint the inside of a jar and get all the cracks and crevices! Which Mod Podge Should I Use? 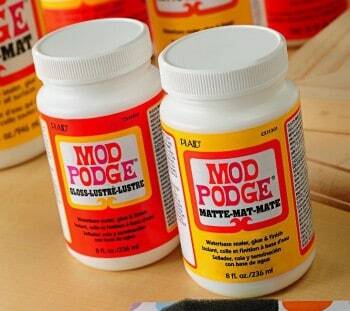 You can use any type of Mod Podge, though I'd choose from Gloss, Matte, or Satin based on the type of finish you like. With glass I typically use Gloss Mod Podge, just because glass is shiny, and the formula is too. But, matte glass looks great as well. You can decide! 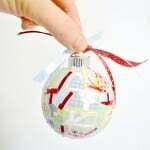 Are you ready to learn how to make this project? Let's get started. I spray painted my jars and let them dry. 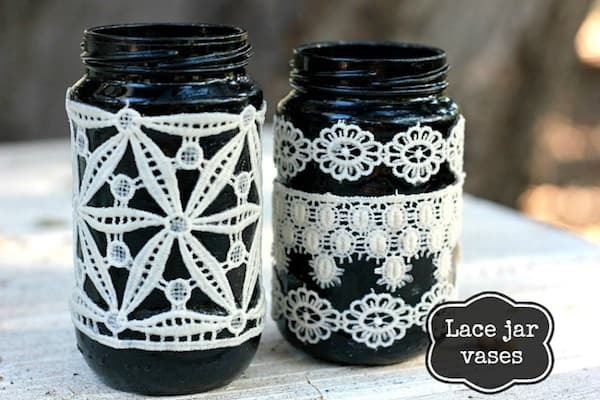 then I cut strips of lace to fit around the jars and glued them down with Mod Podge, using a paintbrush to apply the Mod Podge, and finished with a top coat to seal it. Simple! These are so cool! I really love how they are delicate yet slightly spidery for Halloween! 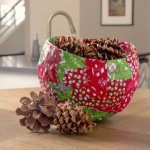 I just love these vases!! They are truly beautiful!! I will have to make a few this weekend!! Thanks for sharing such a cute little project!! This is so cute! These vases could be used for so many things. Thanks for sharing!